Firstline Locksmith, LLC is a family-owned business backed by more than 30+ years of experience. The President & CEO, David Braun, started out of a small office with help from his business partners and a mission to help protect families and businesses. Firstline realized success by offering quality locksmith service at fair prices. 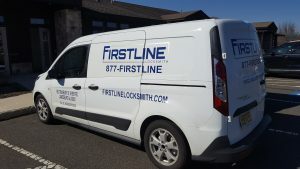 Currently, Firstline Locksmith provides service to nine states along the East Coast. Our corporate headquarters is located in Hamilton, New Jersey and our store center with built-in warehouse and locksmith training facility is located in Jamesburg, New Jersey. As full-service professional locksmiths, we pride ourselves on a high-level of expertise. We require continuous training for all employees. Utilizing the latest technology while integrating time-tested solutions sets us apart from our competitors. We build long-lasting relationships with our customers founded on trust. Your needs are our top priority at all times. 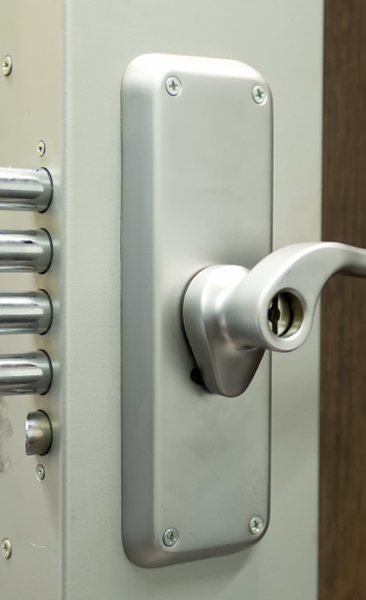 Providing locksmith services for a variety of commercial and residential customers, our years of expertise and extensive resources provide us with the ability to solve all of your security needs. We bring more than a quick fix to your problems; we offer locksmith services with a personable, warm, and welcoming attitude. From something as simple as rekeying a commercial door lock to more advanced projects such as securing an entire facility, we guarantee superior results that exceed all expectations. Some of our notable commercial locksmith customers include: Citibank, Wal-Mart, GoWireless, Modell’s Sporting Goods, Rite Aid, RSM Maintenance, dancker, Lord & Taylor, City of Newark, and the Department of Justice. If you have security needs, we have the solution. Contact us today. - Marc Miele, EHS Manager, Accupac, Inc.